X-rays of CAT scans are developed by dental C.T. for collecting information about teeth and jaw bones. The image data, reformatted in 3D from C.T. 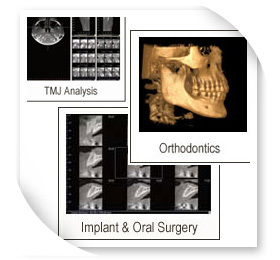 X-rays, provides complete information to patients before advanced procedures. The clinic introduced the i-CAT C.T. scan at the end of 2006. 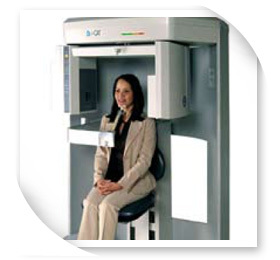 This year, i-CAT Platinum Dental C.T scan, which is the latest and even more effective, was introduced in December 2008, by the clinic as the best scan available in Thailand. The i-CAT's Cone Beam 3-D Dental Imaging System provides high-definition, digital imaging at reduced cost with less radiation to the patient and a typical scan time of only 20 seconds. The i-CAT's computer controlled software delivers quick & easy reconstruction of critical anatomical information typically in under 1 minute.